Ranger Dylusions BLACK Dyalog Insert Book dyt60475 at Simon Says STAMP! dyt60475 This item is on reserve until If you would like to reserve this item now, you may purchase it now with the rest of your order. We will hold your order now and ship your entire order as soon as this item is back into stock. If you would like your order to ship now, please place this item on a separate order. 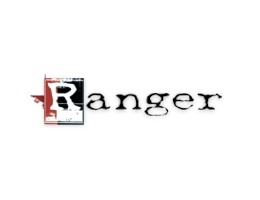 Success, Ranger Dylusions BLACK Dyalog Insert Book dyt60475 has been shared! Designed to coordinate with the Dylusions Dyalog system, Insert Books are ideal for adding into your Dyalog covers to create a book of your own. Featuring black and brightly printed covers, these books include a variety of page styles that fit all journaling preferences. Made out of the same great Mixed Media Cardstock found in the Dylusions Creative Dyary, Insert Book pages accept a variety of mediums without bleeding through. Insert Books measure 4.375 x 8.25 inches and contain 24 pages. Dyalog Insert Books contain pages featuring functional and creative options.